The NORTON-MARCH ALUMNI ASSOCIATION, was established on 20 June 2015 at March ARB, California. 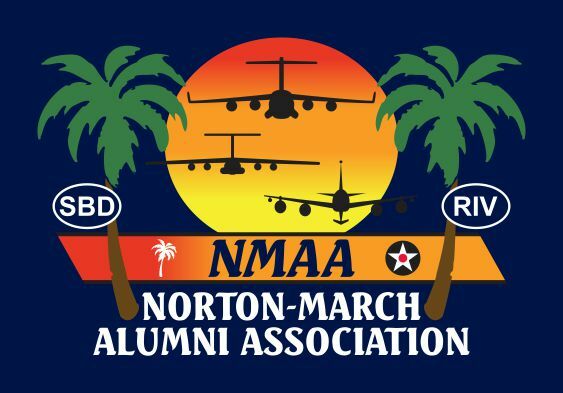 It was incorporated as a non-profit 501(c)3 organization under the name of Norton-March Aircrew Association, Inc. With a continuing desire to be inclusive of all our fellow crews, support staff and veterans, the name was changed to the Norton-March Alumni Association . We are a Veterans Charitable Association that is dedicated to the Honor and Patriotism of ALL U.S. Air Force & U.S. Air Force Reserve Aircrew Members and their Supporting Organizations & Staff who served at Norton AFB, March AFB, and March ARB, California during their time of Military or Civilian Service as well as those current Members who continue to give their all for this great Nation. The Association was initially established by both Retired and Active Officers and Enlisted Aircrew Members who served with the 445 Military Airlift Wing at Norton AFB, and/or the 452 Air Mobility Wing at March ARB, California.